What Type of Ownership is Best For My Home? 1. Sole Ownership. If you are purchasing a home by yourself and simply want it to be titled in your name, then you are taking title as a sole owner. This form of ownership is great in that the property is your property and you do not have to share it with others. However, sole ownership of real estate is not beneficial for estate planning purposes. Instead, consider placing the home in trust (described below) or placing a transfer on death instrument on the property. This will prevent the property from triggering a probate proceeding upon your passing. 2. Tenants in Common. If multiple people (or entities) own a property as tenants in common, they each have an undivided interest in the property that can be transferred. Tenancy in common offers no creditor protection, no probate avoidance, and no protection between fighting owners. Tenancy in common is generally not preferred by most purchasers of real estate. 3. Joint Tenancy With Right of Survivorship. Joint tenancy with right of survivorship is a form of ownership between two or more individuals. The parties own the property jointly and upon the first party’s death the surviving party owns the property outright. This provides some probate avoidance, although upon the second party’s passing, without further estate planning, the real estate will still end up a probate asset. This type of ownership is great between parties that are not married but want to ensure that the other person takes the property upon his or her death. 4. Tenancy by the Entirety. Tenancy by the entirety is similar to joint tenancy with the right of survivorship in Illinois in that upon the first party’s death the second party owns the property outright. However, tenancy by the entirety is limited to spouses. 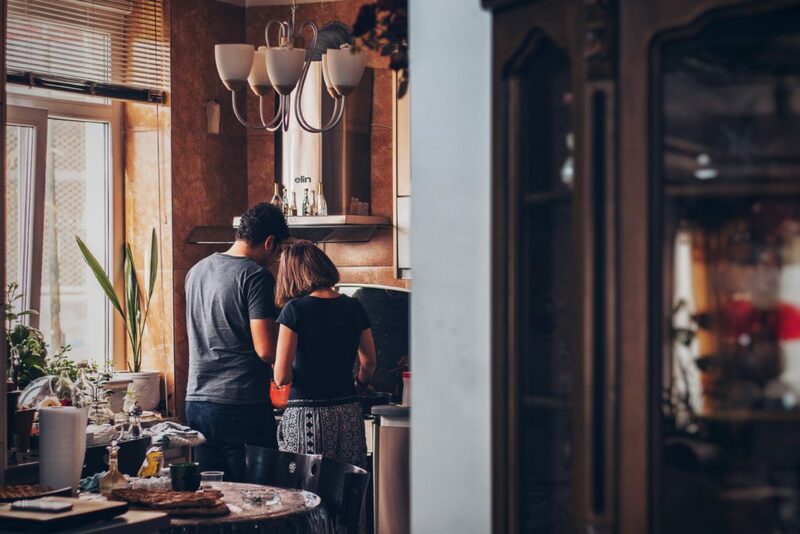 Tenancy by the entirety offers a further benefit – without both spouses’ acceptance of responsibility for the debt, creditors cannot collect debts against the property. Therefore, there is some creditor avoidance built-in. However, any mortgage lender will require both spouses to sign off on the debt instrument so mortgage loans are almost always collectible against the real estate (unless the mortgage company has made some fatal error). Tenancy by the entirety is by and large the way to title property between a married couple in Illinois. 5. Revocable Trust (Deed in Trust). Placing a home in trust in Illinois can provide many benefits over traditional titling. A home in trust will not be a probate asset. It will transfer to the intended beneficiaries outlined in the trust upon the homeowner’s passing. And spouses can each take ownership in their individual trusts as tenancy by the entirety, thus stacking the benefits of a trust with the benefits of tenancy by the entirety. This form of ownership is the most comprehensive because it includes both estate planning (probate avoidance) and creditor protection. 6. Land Trust Ownership. Owning a home in a land trust in Illinois provides one benefit that is not possible in the aforementioned ownership types – concealing ownership. If a person correctly sets up a land trust then their ownership interest in the property can remain hidden. This may appeal to certain people, especially those afraid of being sued (professionals such as doctors and dentists), and those who just want extreme privacy. Land trusts are expensive to set up and maintain. Therefore they are not entered into casually. 7. LLC Ownership. Some people decide to purchase property as a limited liability company. This is useful when you are purchasing properties to rent out. Having an LLC may offer some protection in the event that a tenant brings a lawsuit against you. The LLC can limit liability and prevent the aggrieved party from seeking redress against your personal assets. However, there are a lot of requirements to obtain the protection LLCs offer, so it is best approached with a business lawyer such as the business lawyers at JTLG, LLC. 8. Bonus – Transfer on Death Instrument. While not technically a form of ownership, a transfer on death instrument can be used in conjunction with other forms of ownership. A transfer on death instrument will specify that upon your passing the real estate will pass outright to another person or party. This offers probate avoidance, although is not necessary if you have already placed your property in trust. If you are purchasing a home in Libertyville, Gurnee, or surrounding areas, or you are concerned about how your existing home is titled, then call the Libertyville and Gurnee real estate lawyers at Johnston Tomei Lenczycki & Goldberg LLC today. We will discuss the options available to you, whether you should have legal representation for your real estate purchase, and whether you may benefit from estate planning. We offer a no charge initial consultation to discuss your needs and outline the ideal approach to your situation. Call us today at 847-549-0600 to discuss your real estate transaction.